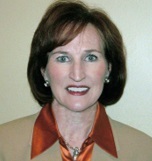 Susan Costonis is a compliance consultant and trainer. She specializes in compliance management along with deposit and lending regulatory training. Susan has successfully managed compliance programs and exams for institutions that ranged from a community bank to large multi-state bank holding companies. She has been a compliance officer for institutions supervised by the OCC, FDIC, and Federal Reserve. Susan has been a Certified Regulatory Compliance Manager since 1998, completed the ABA Graduate Compliance School, and graduated from the University of Akron and the Graduate Banking School of the University of Colorado. She regularly presents to financial institution audiences in several states and “translates” complex regulations into simple concepts by using humor and real life examples. This webinar will focus on several simple steps to ensure a successful CRA exam outcome. Writing a dynamic CRA context report can show examiners not only that your financial institution understands the community credit needs, but that you are effectively meeting the needs in the assessment areas you serve. We will review the steps required to establish your case and demonstrate why your CRA program qualifies for a "Satisfactory" or possibly "Outstanding" rating. The definition of “community development changed in September, 2005 to including, among other things, activities that revitalize or stabilize designated disaster areas. A financial institution's activity will be considered to revitalize or stabilize a designated disaster area if it helps to attract new, or retain existing, businesses or residents and is related to disaster recovery and examiners will consider revitalization or stabilization activities that take place within 36 months after the date of the disaster designation. Could your financial institution be eligible to receive special consideration for lending in a designated disaster area? Five steps for managing a CRA exam and the importance of developing a CRA strategy. Tips for banks that are ISB (intermediate small banks of $313 million in the prior two calendar years and the transition to CRA reporting when the large bank threshold of $1.252 billion is reached. The new limits were announced on December 27, 2017. Learn how to document lending activity in designated disaster areas. What's included in a performance context? Learn how to describe your institution, quantify the ability and capacity of the bank to meet credit needs based on financial data. Learn how to highlight the positive outcomes of your lending focus and business strategy. Tips to describe your assessment area including demographic and economic data resources. Best practices to deal with CRA-related complaints and potential fair lending issues that can threaten a successful exam. New definitions for “home mortgage loan” and “consumer loan” as well as public file requirements became effective January 1, 2018. The joint rule from the Federal Reserve, FDIC and OCC amends respective CRA regulations to conform to 2018 changes to the Home Mortgage Disclosure Act. This 2 hour event was recorded on Tuesday, February 12th, 2019.